Whether you have a love of ancient history, delicious food, exploring new cultures or even just walking amongst some of the most beautiful natural scenery in the world, you’ll find what you’re looking for on one of our expert-led cultural tours of Turkey. We offer a wide range of escorted tours in Turkey from family tours to walking vacations, from gulet cruises to food tours. Turkey is an amazing country – join one of our expert-led tours and you’ll discover a land full of wonderfully well preserved ancient sites, beautiful landscapes and with a mouth-watering cuisine, too. 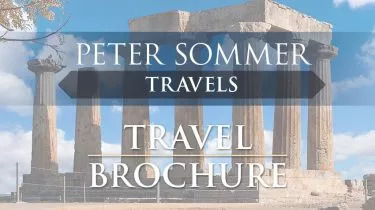 We at Peter Sommer Travels have created a unique range of exceptional tours for you. Most of our tours in Turkey are aboard gorgeous gulets, traditional wooden boats handcrafted in Turkey. You’ll cruise along part of the turquoise Turkish coast, enjoy superb swimming, mouth-watering food prepared by the on-board chef. 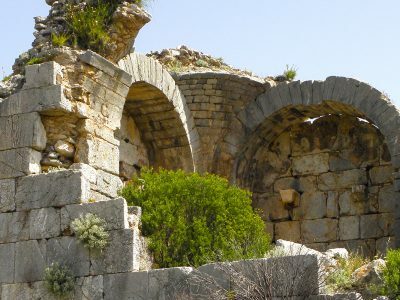 At the heart of our trips are archaeological adventures in the company of expert guides who lead our tours. Turkey has an incredible coastline, and it’s waiting for you. Find out more about our Gulet Cruises in Turkey. Alongside our scheduled gulet trips we also create private gulet charters. 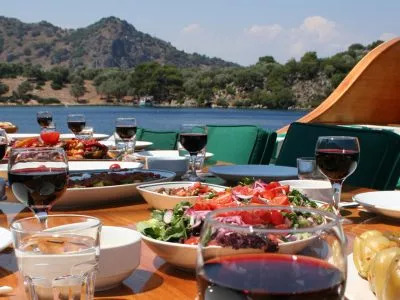 We charter traditional Turkish gulets with from 2-12 cabins, beautiful boats handcrafted in Turkey’s boatyards, run by experienced local crews. We can arrange your own bespoke gulet holiday so you can relax and travel in style, accompanied by a specialist archaeologist guide just like our scheduled escorted tours. 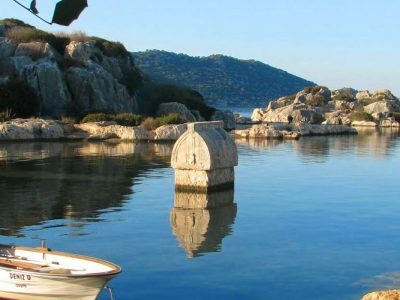 Find out more about our Gulet Charters in Turkey. As an excellent introductory tour of Turkey, you might want to investigate the vibrant and exotic city of Istanbul. Delve into the mysteries and history of the bustling city, from its roots as a small Greek town on the Bosphorus to the teeming and opulent capital city that it became under the Byzantine and Ottoman Empires. Istanbul boasts world-famous sites such as the Haghia Sofia, Topkapi Palace and the Blue Mosque, along with some seldom-visited wonders that only the true connoisseurs of the city ever visit when they visit this incredible metropolis. Find out more about our Exploring Istanbul tour. Our family tours in Turkey are designed to be relaxing and stimulating, fascinating and fun. Like our other escorted tours they are cultural gulet cruises and led by an expert guide. Visits to ancient sites will take you and your children deep into the past. You’ll explore the world of the Greeks and Romans in colourful detail: from what they ate to how they built temples, from what their loos were like to how they were treated at the doctors. All this and more in places boasting some of their finest artistic and architectural glories. Alongside our archaeological adventures, there is the cruise itself aboard a beautiful traditional Turkish gulet. Our gulet holidays offer plenty of opportunities for families with children to swim, kayak or snorkel in azure seas, to lie back and read as the world goes by, and to enjoy delicious home-cooked food. When we hike off into the hills, we’re almost certain to see goats, tortoises, and creepy crawlies, and while at sea there is always the chance we’ll see some dolphins! Find out more about our Family tours in Turkey. For two millennia, the legend of Alexander the Great has excited the imaginations of people all across the world. 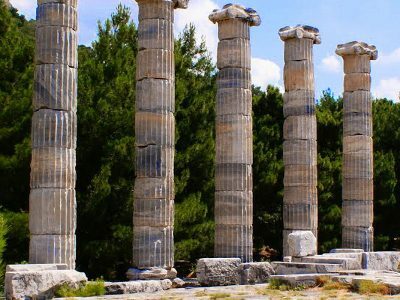 Take this unique opportunity to retrace the footsteps of Alexander with this one-of-a-kind inspirational archaeological tour. 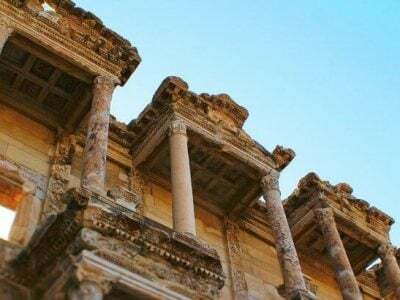 Turkey is rich with Alexander’s legacy; stroll along the sacred way to Apollo’s great oracular temple at Didyma and discover Ephesus, one of the most well-preserved classical cities in the world. Like most of our tours in Turkey, this is a journey back through time, and a tale of romance, war and power. Join us for an amazing expedition full of unforgettable vistas and historical highlights. 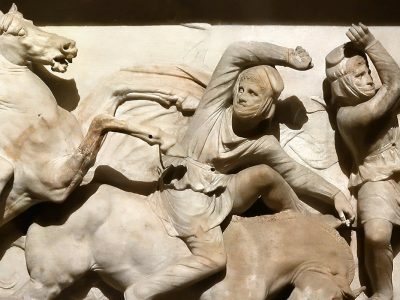 Find out more about our Alexander the Great tour. 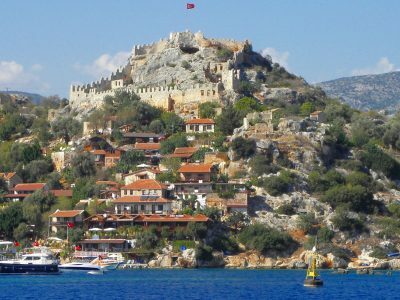 We are always adding fascinating articles about Turkey on our blog. 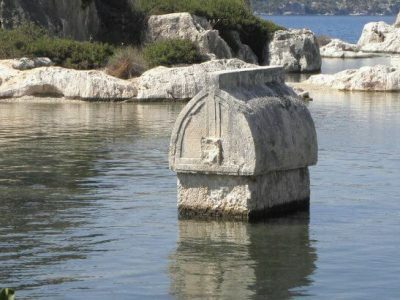 So if you are interested in Turkey’s archaeological sites, history, food or other aspects of Turkish culture (including the occasional delicious recipe) please visit our blog. Average rating 5 out of 5 from 372 reviews for Tours in Turkey, according to AITO reviews. Wonderful holiday in a remote part of southern Turkey walking the newly opened Carian trail and staying on a Turkish gulet. We felt privileged to explore this very new walk with an excellent tour guide and local guide. I think we only met three other walkers. The food on the gulet was exceptionally nutritious and well presented and the crew were wonderfully adaptive and responsive to clients needs.